Now that the weather is (finally!) warming up, you are sure to be driving with the windows down, enjoying the warm breeze. Also coming through the window may be squeaks & noises you hadn’t heard with the windows rolled up. A loose or worn serpentine belt will cause a squealing noise coming from under the hood. A slipping belt can be heard immediately after starting the car when the belt starts to move. Have your automotive professional check if the belt is loose or needs to be replaced altogether. 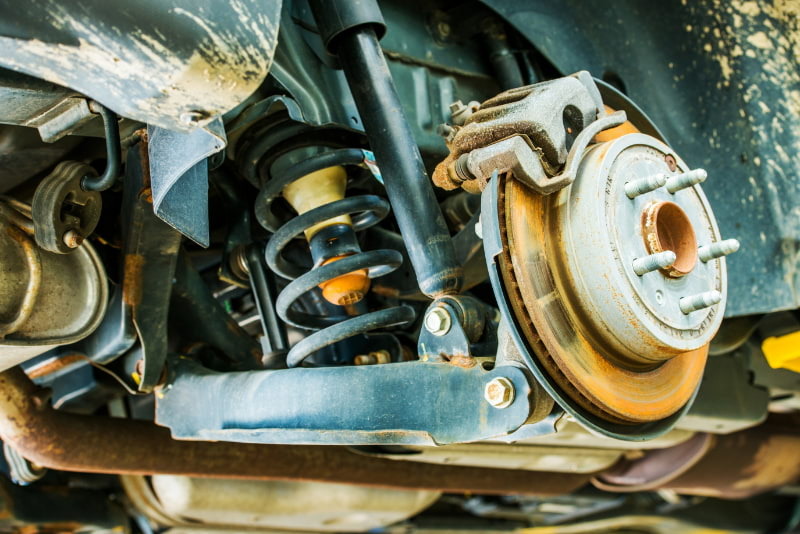 Squeaking noises may be a sign that your brakes need to be inspected, or perhaps your shocks & struts took a beating this past winter. Do you hear the noise when you turn a corner? This noise usually comes from your car's suspension and often is caused by normal wear or from hitting potholes or other road debris. Worn out bearings make noise as well, as they are a buffer between the axle and the wheel. The friction from the worn-out bearings is what can cause the humming noise. Under-inflated tires will squeal when making a sharp turn. If you don’t already have one, please get a tire pressure gauge to make sure that you are filling your tires to the proper psi. Worn down tires or those with uneven tread will cause squeaking and squealing as well. Make sure to have your tires rotated regularly to get the most even wear and longest life from your tires. If you hear the car squealing when driving, but the noise stops when braking, there is a good possibility that the brake pad wear sensors are starting to contact the rotors. This will cause a loud squealing noise that may change pitch or stop altogether while braking. It’s important to have your automotive professional inspect the brakes as soon as possible. If you are hearing the noise mostly when braking, that is a good indication that your brake pads may need to be replaced. Glazing on the brake pads can caused that squealing sound. This happens when the brakes stick, causing excess friction and heat. However, if you are noticing a grinding noise, that is an indication that there is a serious issue with the brake system. You will need to take your vehicle to your automotive professional as soon as possible, as driving with that grinding noise could be doing serious damage to the brake rotors, causing a more expensive repair than the pads alone. More importantly, driving a vehicle with grinding brakes is putting you and your passengers in an unsafe situation. Beware of automotive service providers recommending strut replacement due to reaching or passing a mileage threshold. Shocks and struts do not have specific replacement intervals. They should be replaced when they do not function as intended or are damaged, and then in pairs per axle. Many will perform properly well over 100,000 miles. If you're hearing unwanted squeaks and noises schedule service today with Weber Automotive.